Last week in the midst of my equilibrium diet (aka the discipline to eat mindfully and get back to my comfortable weight before my last 30s birthday) I tempted fate by slipping into the convenience store just to browse. I have a firm belief that if you are wanting to snack in a high fat, low nutrition way, it is helpful to do a market visit: just go in, see what’s out there, hold the merch, smell it if you will, then retreat. I have done this many many times over, finding satisfaction standing in front of the 24 hour fresh baked donut shop window in my neighborhood, seeing people happily gobble up their old fashioneds with crumb or chocolate glazes. At times I have had to call my sister for support, to let me talk through it while I examine each doughy treat through the glass. Eating is multi sensory, isn’t it? My theory is that if I satisfy the touch, smell, & sight senses, I don’t always need to taste. It’s not easy, but I kind of have a handle on that! 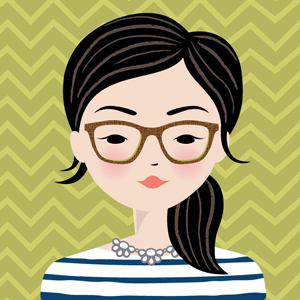 Kind of… kind of. Seeing my current fave, Lay’s Limon flavor in a single serving bag on the metal rack, I didn’t find true satisfaction. I needed the bag I was looking at to be the big one, the 14 oz. family size that takes up too much space in a reusable shopping bag. The kind of bag that is almost bigger than a toddler, but smaller than a carnival prize stuffed animal. No, I had no intention of buying it. I just wanted to look at it. There were other varieties: Sriracha, Salt & Vinegar, BBQ, Sour Cream, etc. But no Limon flavor nestled up top with the big guns. I needed to see a full sized bag of Limon or this method was not going to work out for me on this particular day. With what I imagine must have been a wild look in my eye, I asked the family working behind the counter if they had Limon in a bigger size. They suggested sweetly that I just buy a few of the small ones. No. Yeah…. no. Thank you though. Um… I just wanted to know if they had the big bag- for next time of course. Not today. The kind of bag that would give me crumbs up to my elbow from digging in. The kind of bag whose packaging I would need to cut in half horizontally when I am almost to the bottom of it so I can get to the good stuff chip by chip without smashing what’s left. But it’s cool, it’s cool. Didn’t even want it. Doesn’t matter to me. Leaving now, headed home. My goodness, lady get a grip. That was last week. I do not remember how I got over it, because according to my food log I ate sensibly and within my plan. If I don’t follow protocol, I don’t bother logging in. Why lie? So the fact that I logged every single thing that week tells me I didn’t succumb. I see that I spent those snacky hours crunching on TJ’s Inner Peas — they are totally gluten free, and just baked pea pods, right? Not so bad for you. Hmmm… that’s weird, I ate 1.5 bags not 1.5 servings twice in one day…. oh, twice a day for three days… oh, twice a day for three days, and 2 bags one morning and 1 bag in the afternoon of the fourth day. Okay…. yeah…. I mean it’s not like I ate Lay’s. Yesterday though, fresh off of a great long weekend of healthy eating, smoothie making and water drinking, I told myself, “Okay, girl, you’ve got this, on track to your dietary goals for fall, in a very steady, healthy way. Let’s keep up with this and kick it up a notch by cutting out potatoes.” Mind you, I haven’t had potatoes anyway in about 4 weeks. Potato Free Wednesday is a cinch! So of course on my walk home yesterday I found myself lined up for french fries at my favorite deli after being denied a gluten free option at the new hip sandwich place down the road. Pfff…. I mean, what else was I supposed to do, with no sandwich to eat and potatoes on my mind all day for some mysterious reason? Fries in hand, I walked into the convenience store to pick up some soy milk for the husband who, I must say is being incredibly supportive and motivating in my gluten free and equilibrium efforts by altering some of his own food choices. His late night snack preference? Cereal. So into the store I went to get some milk, with no desire to covet the chip rack this time around. Upon seeing me, the patriarch of the family-run store went behind a side counter, stuck his hand into a large cardboard box, and pulled out a bag. Casually tossing it up in the air while walking along side of me to the register in front, I couldn’t ignore the lime green bag. 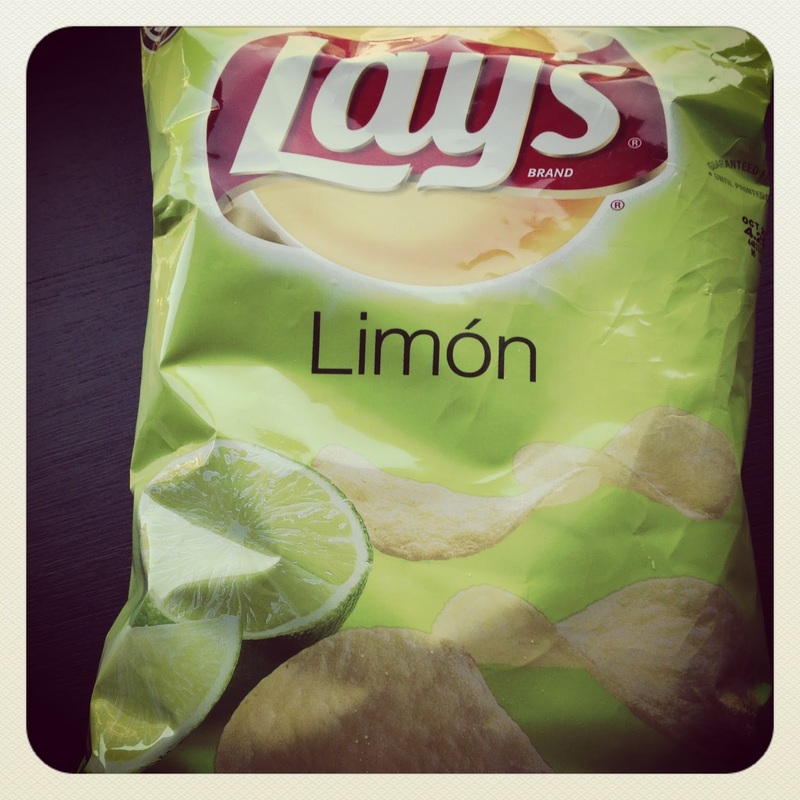 Limon Lay’s! Really? “Oh, you like this?” he asked nonchalantly, “You like this? Is so sour!” “I LOVE these!” I exclaimed, so surprised by this apparent special order and too touched to bother reading the ingredient list on the back for gluten, which I am quite sure it has. I didn’t even mind that it wasn’t the 14 ounce-r. 9 ounces of potato chips is plenty. Who turns down an act of kindness like that, even if the act of kindness is selling me a marked up bag of chips I really can’t be eating. It’s the thought that counts, okay? Screw Potato Free Wednesday. Treating myself for so much self control is in order. This post is completely not sponsored by PepsiCo. My subject just deserves a close up. Photo by BP. I can feel your passion for these chips just dripppping out. And when did Lay's start coming up with such creative chips?! I love this post!! Hilarious and honest. I know! Total movie moment, the grocer with a heart!!!! Hey there! Thanks for reading! Love it when posts connect with people! Yay! Thanks! I was thinking the cutting the bag in half part wouldn't register for some people, but I am glad you can get it 😉 Yes, now I just want to buy all of my last minute items from his business!! hope you are well! keep an eye out for a parcel coming your way! HY! so nice your article and i love lay's.Thanks for share.